the neck and, in flight, by the conspicuous white bands on the wings. 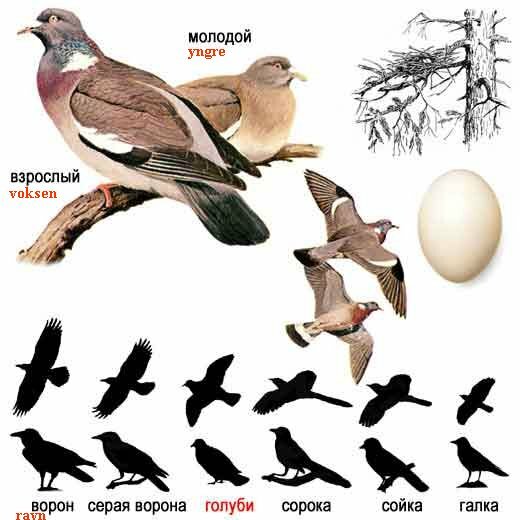 It breeds in trees in woods, parks and gardens, laying two white eggs in a simple stick nest which hatch after 17 to 19 days. 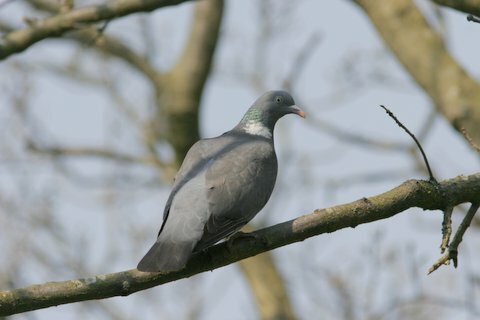 Wood pigeons seem to have a preference for trees near roadways and rivers. left the nest as early as 20 days from hatching. 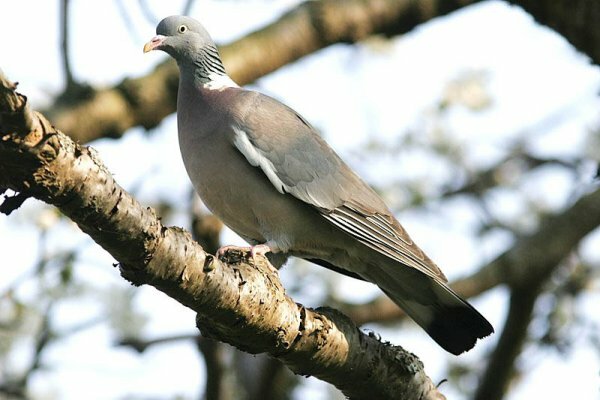 Its flight is quick, performed by regular beats, with an occasional sharp flick of the wings, characteristic of pigeons in general. and the bird glides down on stiff wings. The noise in climbing flight is caused by the whipcracks on the downstroke rather than the wings striking together. 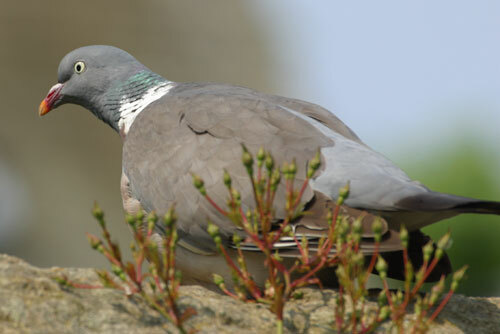 The Wood Pigeon is gregarious, often forming very large flocks outside the breeding season. and it will take grain.